Hugh Hinton has performed widely as a chamber musician and recitalist, including concerts and residencies throughout the Middle East as a United States Information Agency Artistic Ambassador. Orchestral concerto engagements include joining the Aequalis Ensemble in the world premiere performances of the Chinary Ung Triple Concerto with the Phoenix, Honolulu, New Hampshire and Stony Brook symphonies, as well as with the Core Ensemble in the world premiere performances of the Bernard Rands Triple Concerto with the Cleveland Chamber Symphony, Florida Philharmonic, Waterloo-Cedar Falls Symphony and the New Hampshire Symphony. His recordings of chamber and contemporary music have been broadcast internationally on “Art of the States” and can be found on the New World, Albany, CRI, Etcetera and Newport Classics labels. Mr. Hinton earned his Bachelor’s degree from Harvard University and Master’s and Doctor of Musical Arts degrees from the New England Conservatory of Music, where his principal teachers were Russell Sherman, Wha-Kyung Byun, Lev Vlassenko and Mykola Suk. 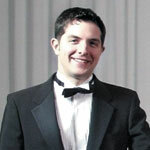 He has taught at the New England Conservatory and Holy Cross College. He currently on the piano faculty at the Longy School of Music in Cambridge MA and is Director of Campus Musical Activities at Merrimack College in Andover, MA.